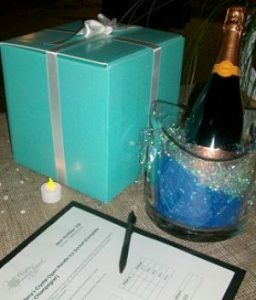 Looking for a new idea to spiff up your silent auction tables? Well … if you can finagle it … this color draws guests like flies to honey. What makes it even more unique is that the COLOR seems to be more important than the ITEM you’re selling. P.S. For more helpful silent auction tips, claim your FREE subscription to “Benefit Auction Ideas“. Enjoy auction ideas conveniently delivered to your in-box. Thanks Sherry for another great video suggestion. It’s amazing how some things can so quickly make our heart skip a beat ;-). Traci, it seems to be working fine, but I’ve had others sometimes have problems if they were using a Mac or needed to update their video software on their computer. Meanwhile, you can read the post here Everyone’s FAVORITE color on the silent auction tables.